Situated on the south side of the Firth of Forth, the port of Leith, Edinburgh, is a major harbour for warships and cruise liners. Over hundreds of years it has been a trading port and a military dockyard. With Rosyth Dockyard situated further west, this busy waterway has two historically important destinations for vessels and over time, many vessels were sunk during storms, failed to avoid collisions or were wartime victims of U-boats or aircraft. This guide will help divers select the best dives to suit local weather conditions and to find the best scenic sites. It includes all the new and exciting dive sites recently found in areas such as Burntisland, North Berwick, Dunbar, St. Abbs and Eyemouth and information on how best to dive them an absolute must for divers visiting this area! 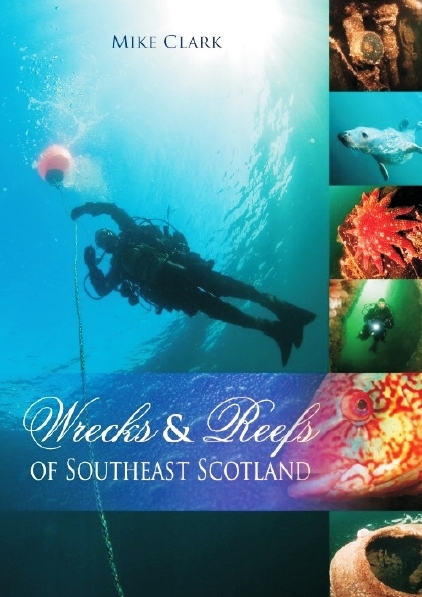 The guide for diving the Firth of Forth and southeast Scotland. Identifies newly found important shipwrecks and also provides GPS coordinates. Written by a highly experienced and qualified diver. Provides a wealth of information including historic details. Information on training organisations and how to choose the one that best suits you. But the big bonus about Mike’s book is that it combines as both a reference and guide. I have numerous books on dive sites along the Scottish Coast, but generally, these concentrate on the history and topography. They are great as a reference, but more often than not fall short and I have to look elsewhere for information on how to actually get there, where I can charter a boat, what the diver requirements are, etc., etc. 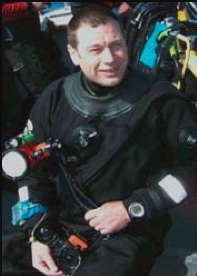 About the author: As a BSAC Advanced Diver and Instructor, Mike enjoys a career as a professional underwater photographer and has succeeded as a journalist with articles in many of today's diving magazines including Diver, Dive and Sport Diver, etc. Mike also has his own comprehensive website were he features a willingness to personally sign copies, if you are interested in a feature for your dive charter boat or operation, or would like to use some of his photos then he can be contacted e-mail. ISBN: 978-184995-010-7 / softback 192pp 240 × 170mm. Full colour throughout with photographs and maps £18.99.